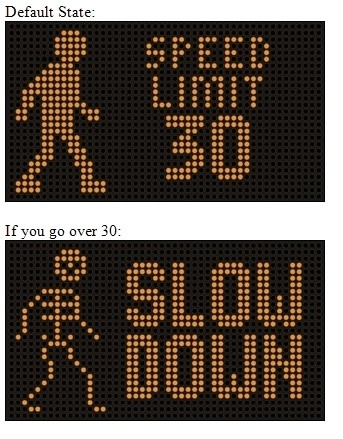 New York City is using a new digital sign featuring a pedestrian turning into a skeleton when drivers exceed the 30 mph speed limit in an attempt to scare them into slowing down. It’s part of their new “That’s Why It’s 30” safety campaign. UPDATE: It turns out that our friends at Barbarian Group were behind this.